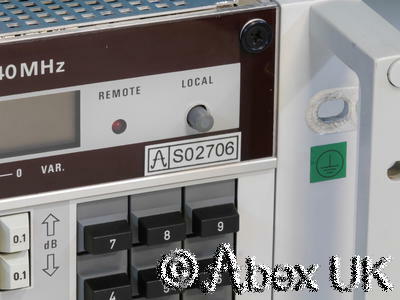 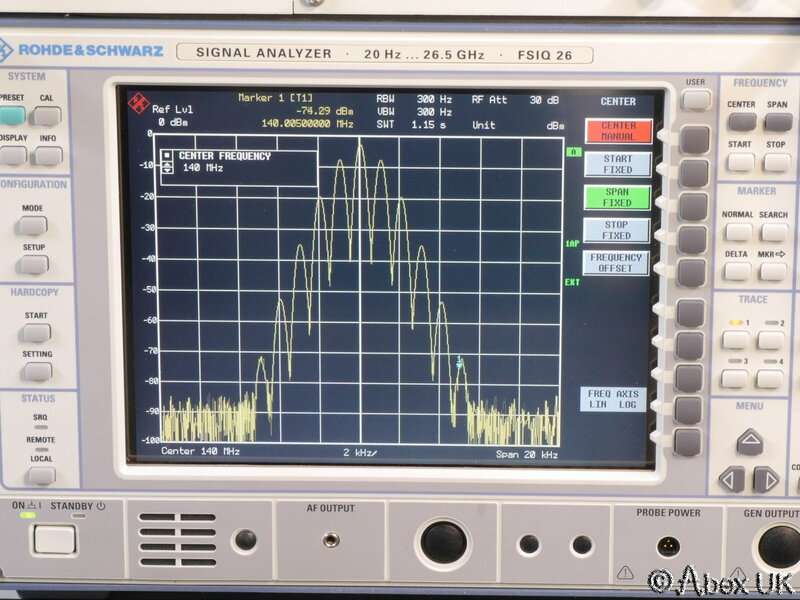 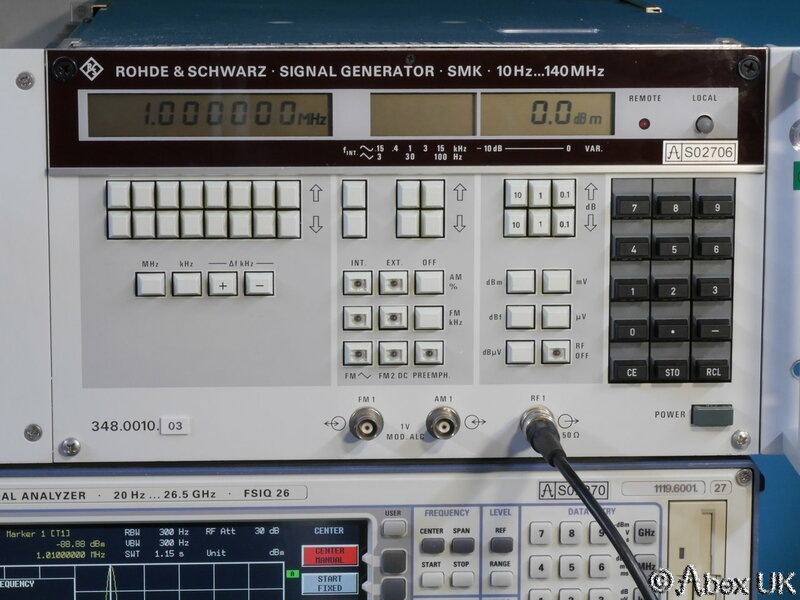 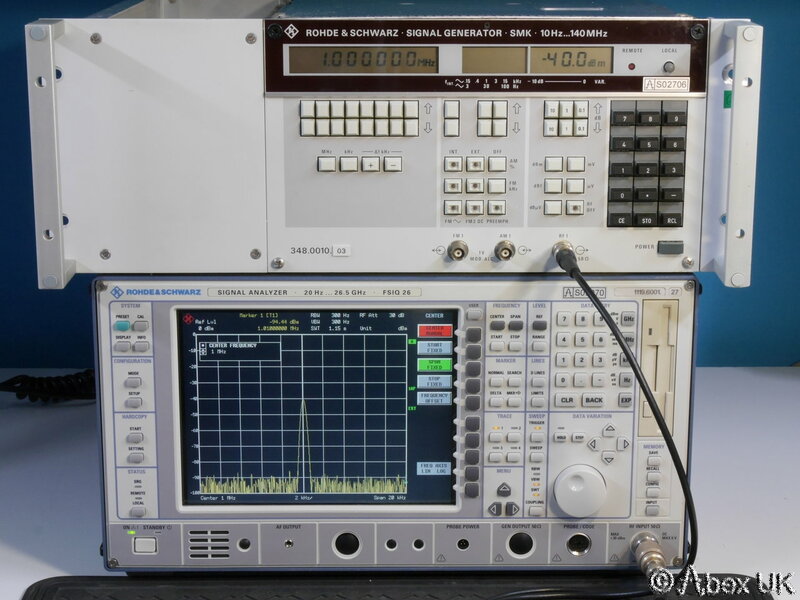 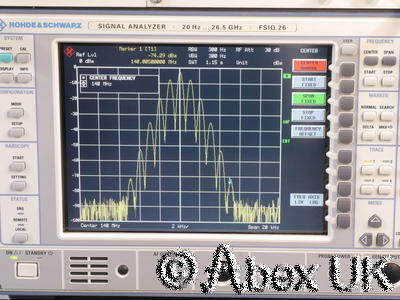 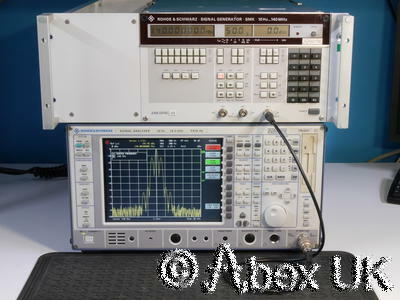 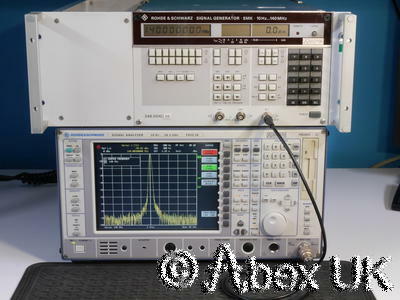 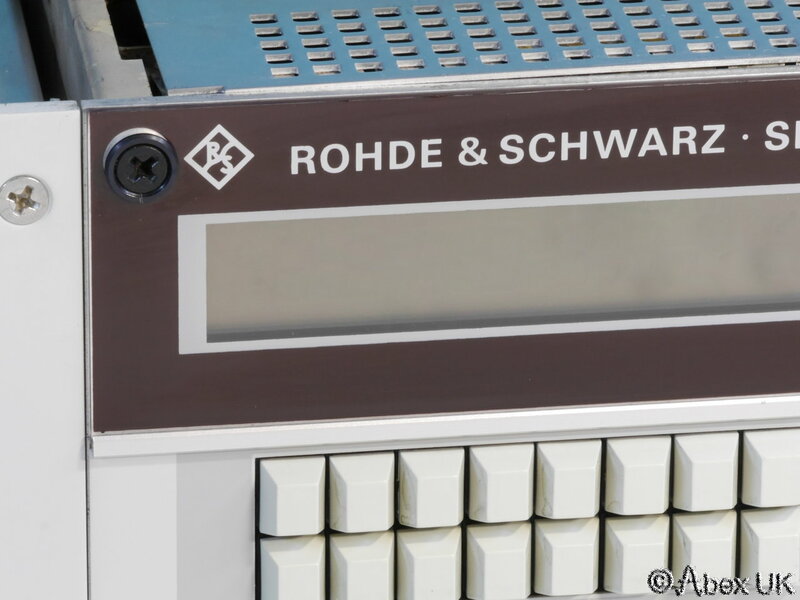 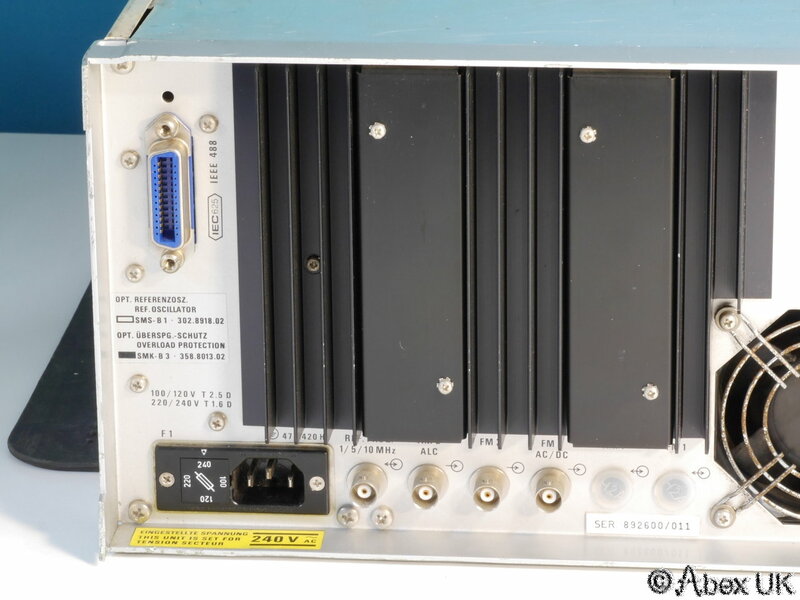 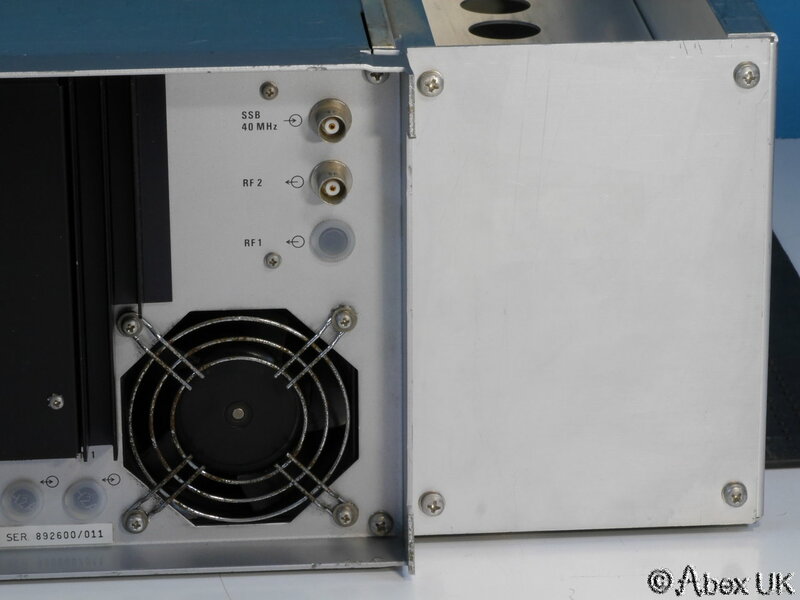 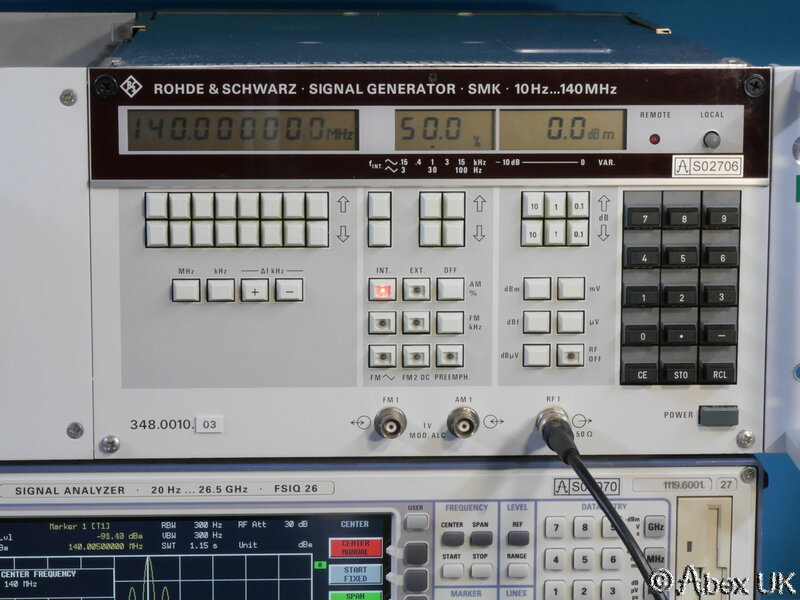 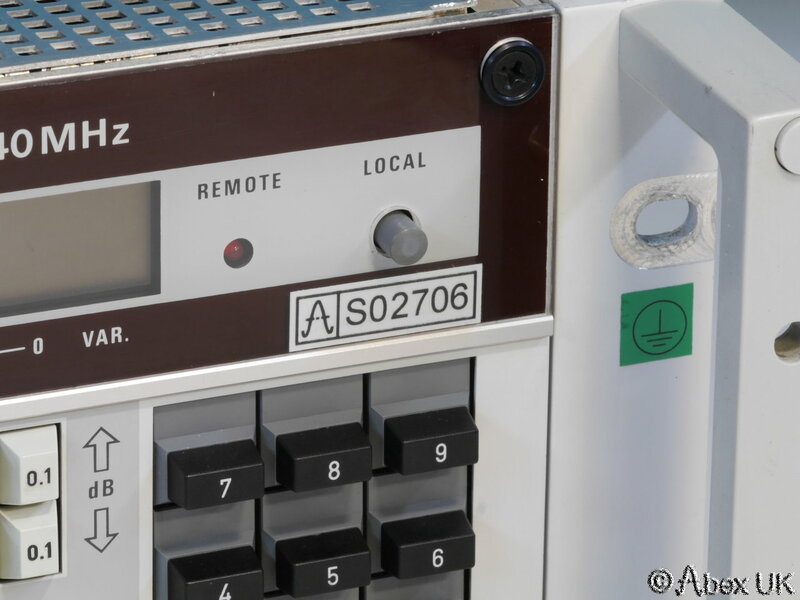 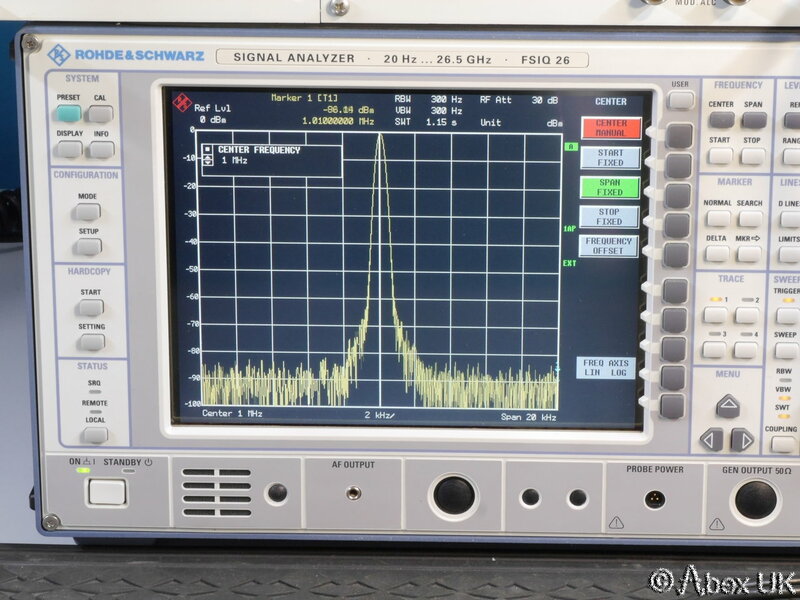 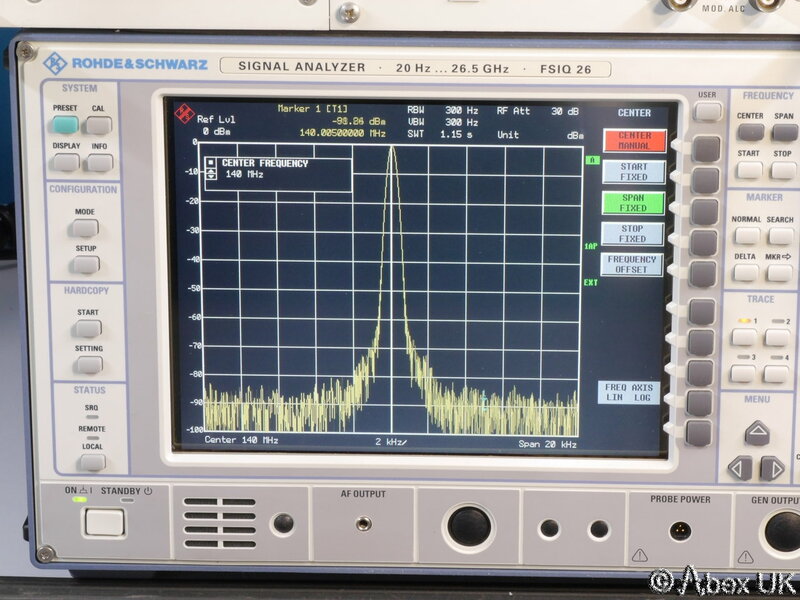 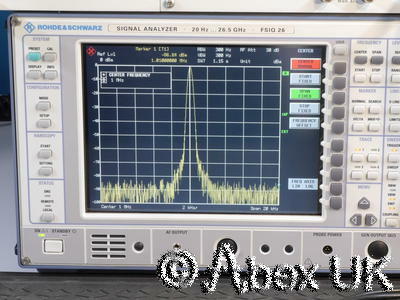 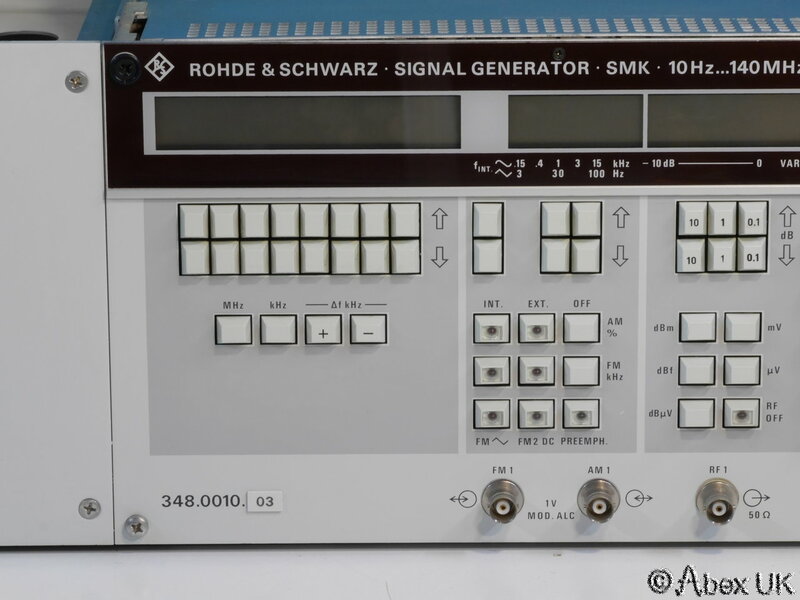 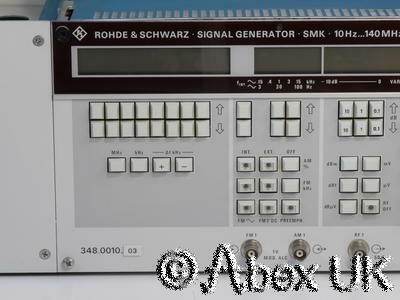 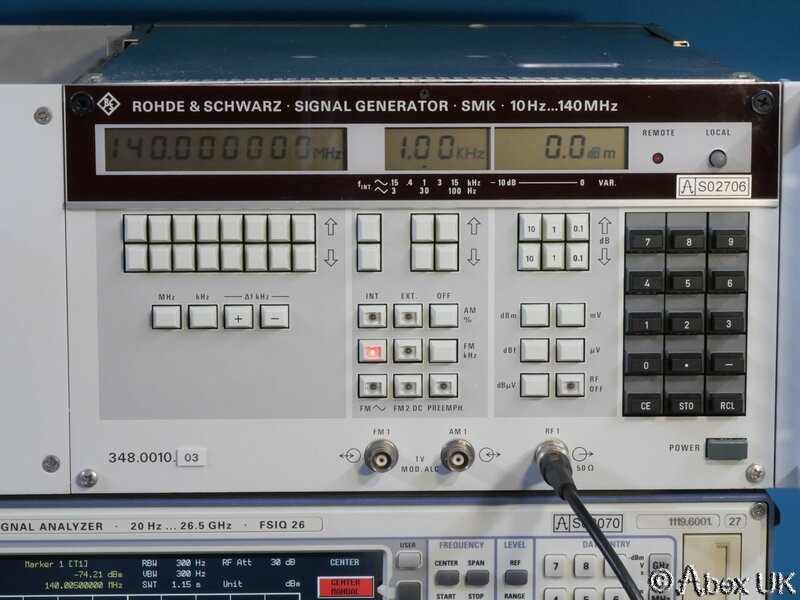 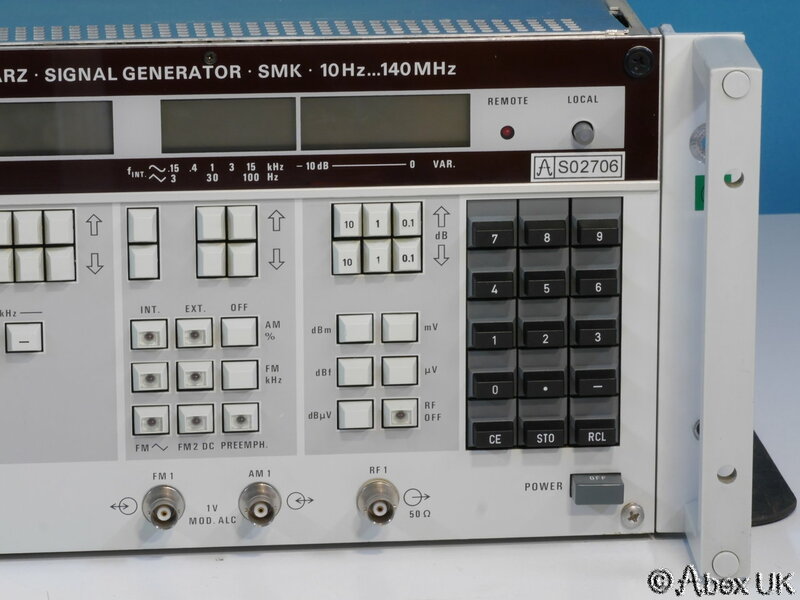 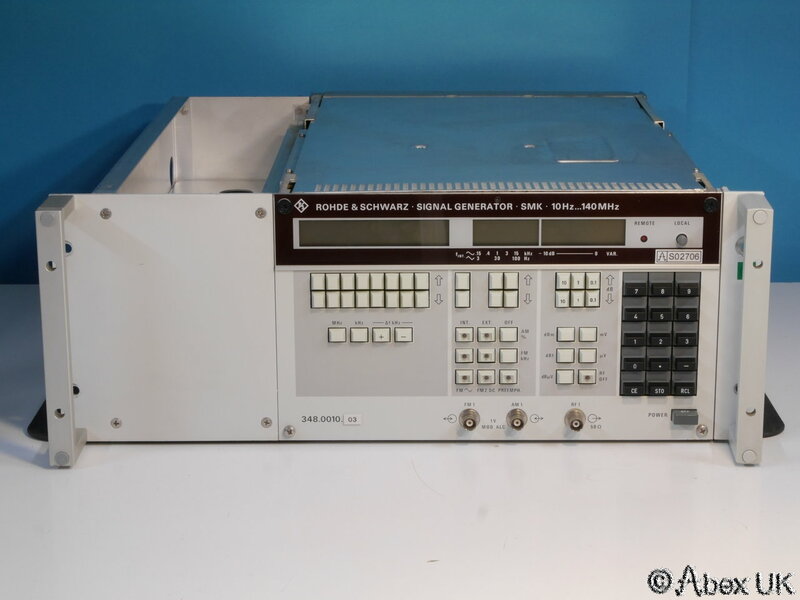 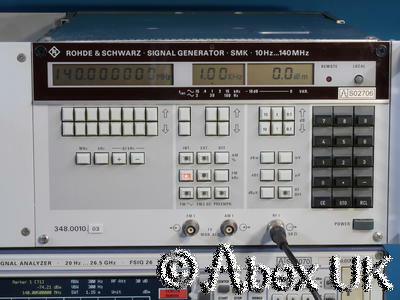 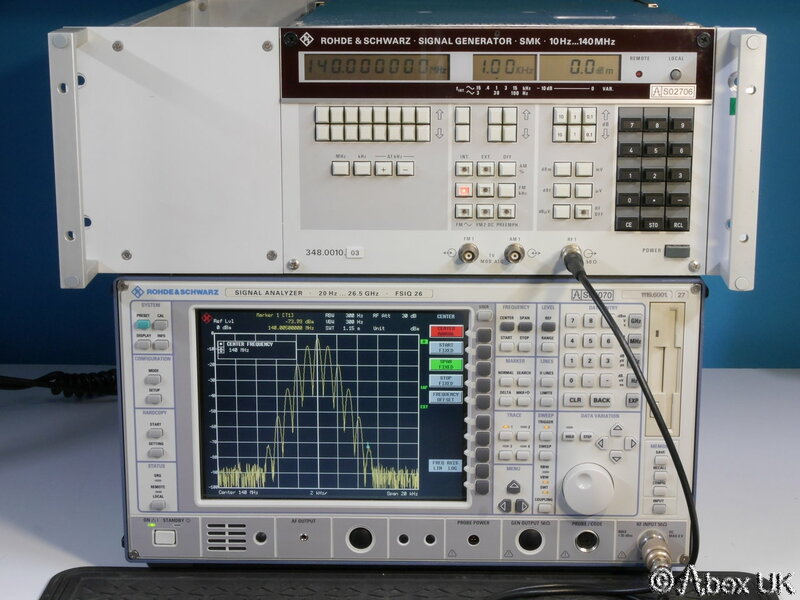 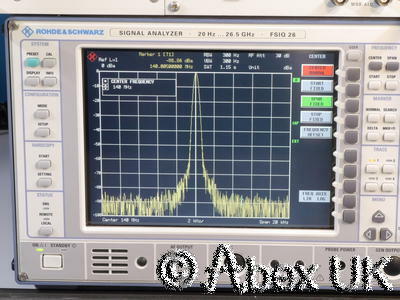 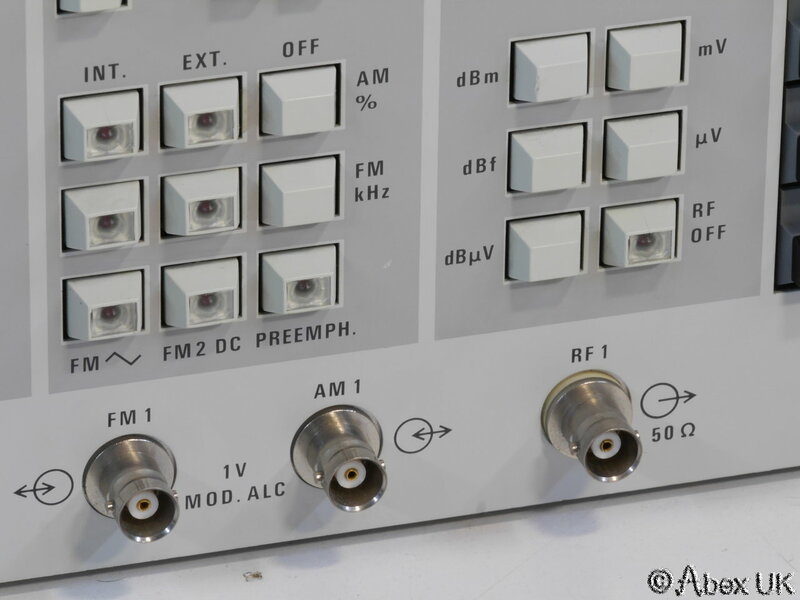 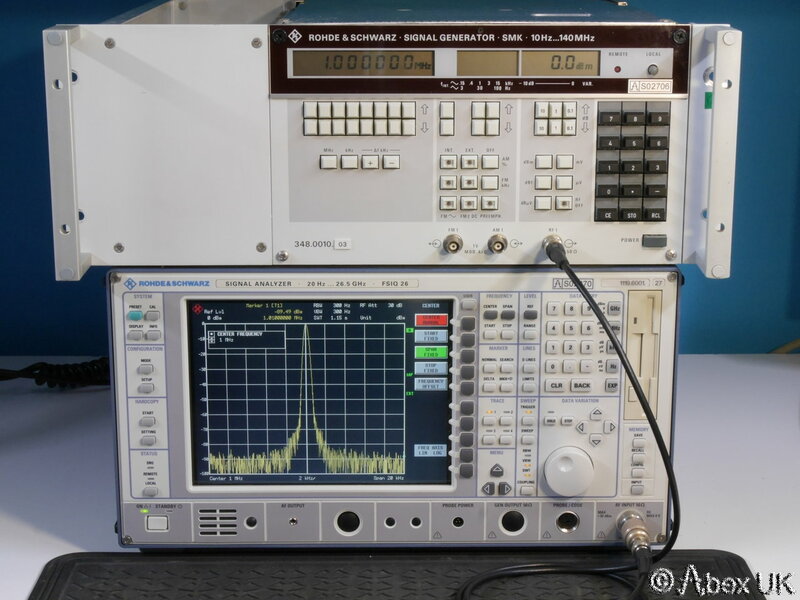 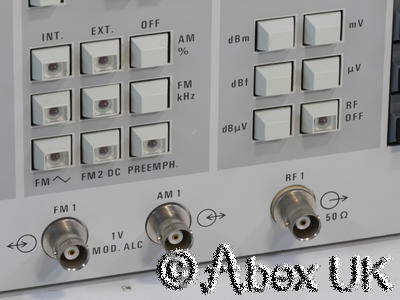 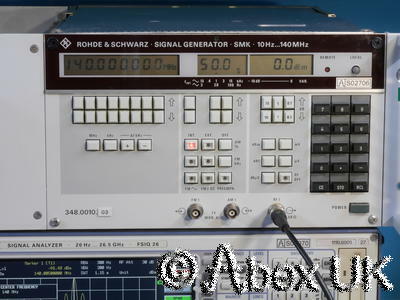 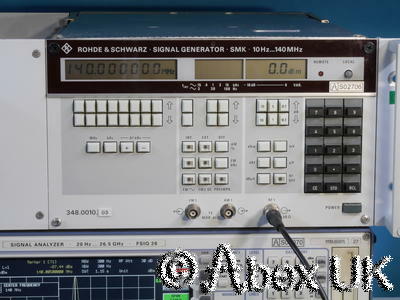 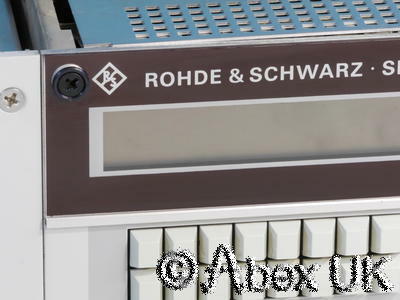 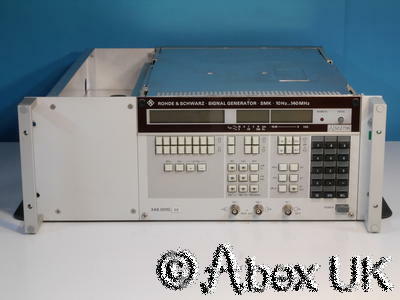 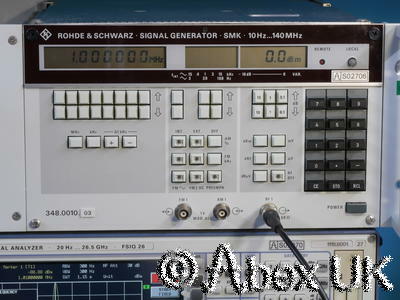 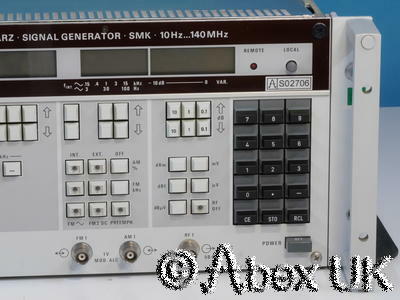 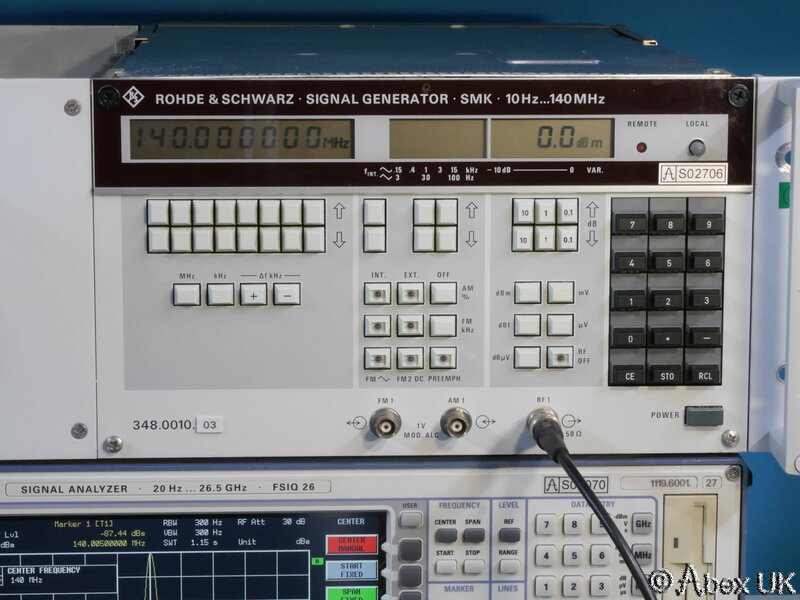 The Rohde & Schwarz SMK is a general purpose AM/FM signal generator covering frequencies up to 140MHz, and exhibiting a low phase noise. 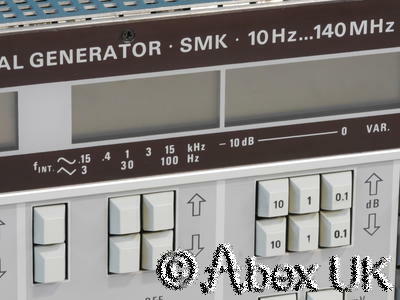 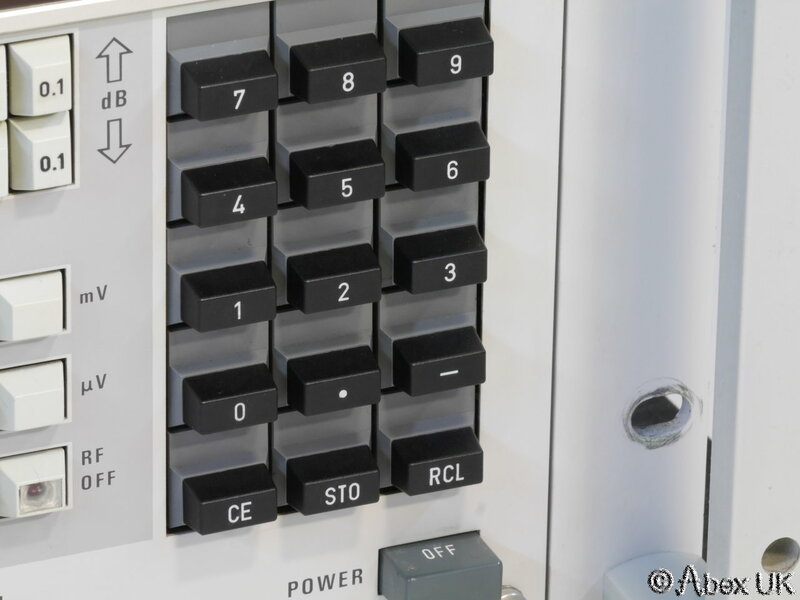 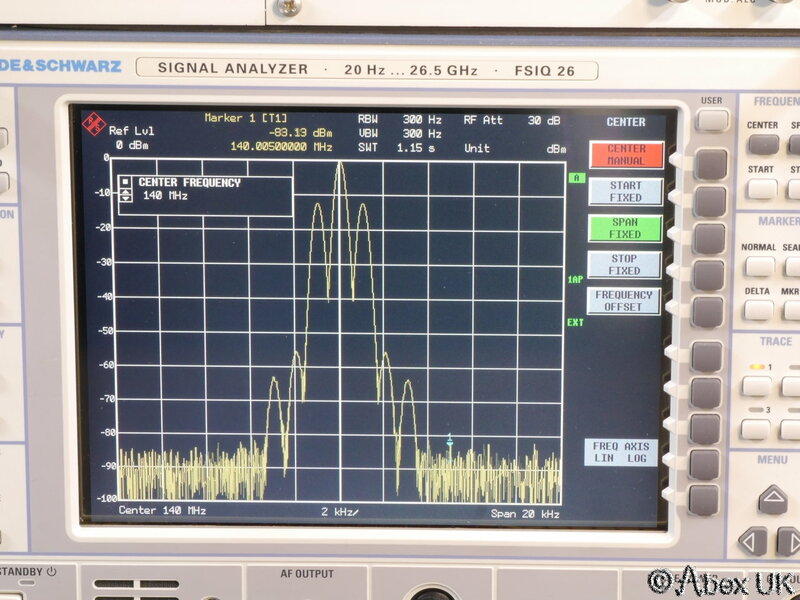 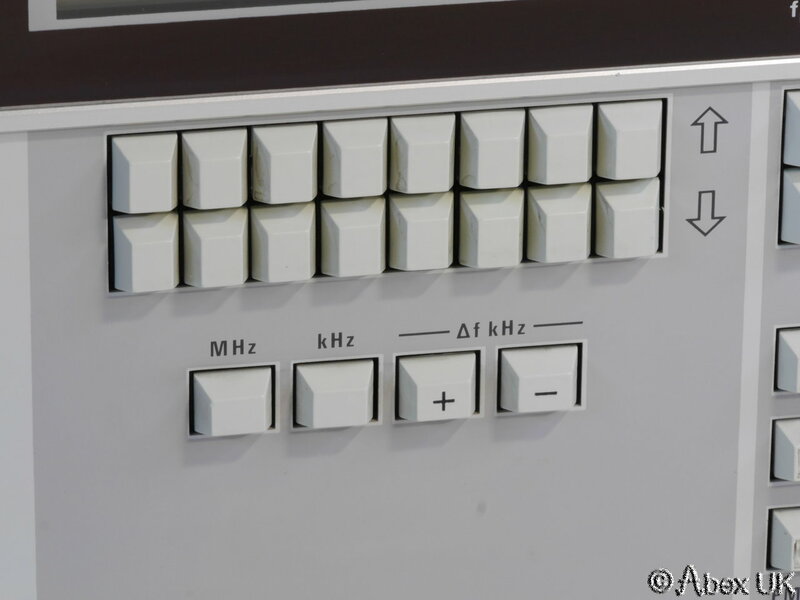 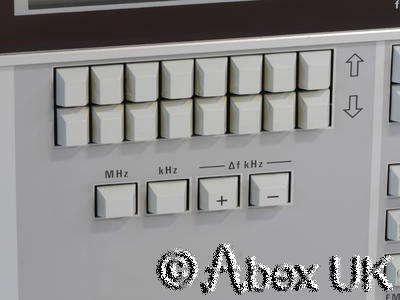 One unusual feature is the low end frequency of 10Hz, giving a continuous frequency coverage of more than 7 decades. 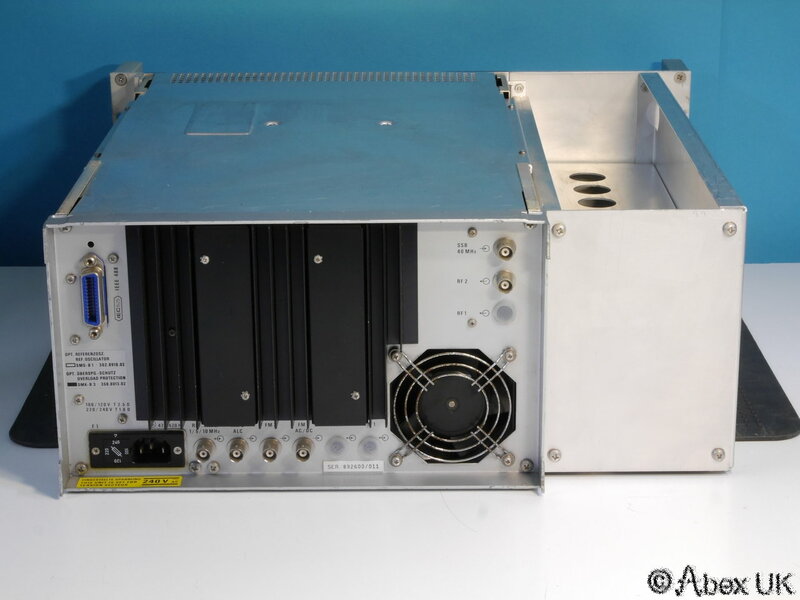 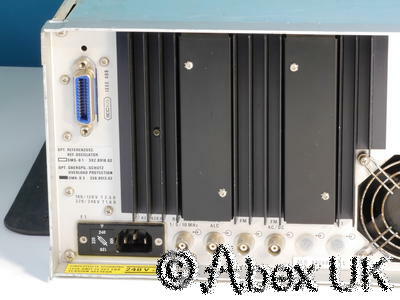 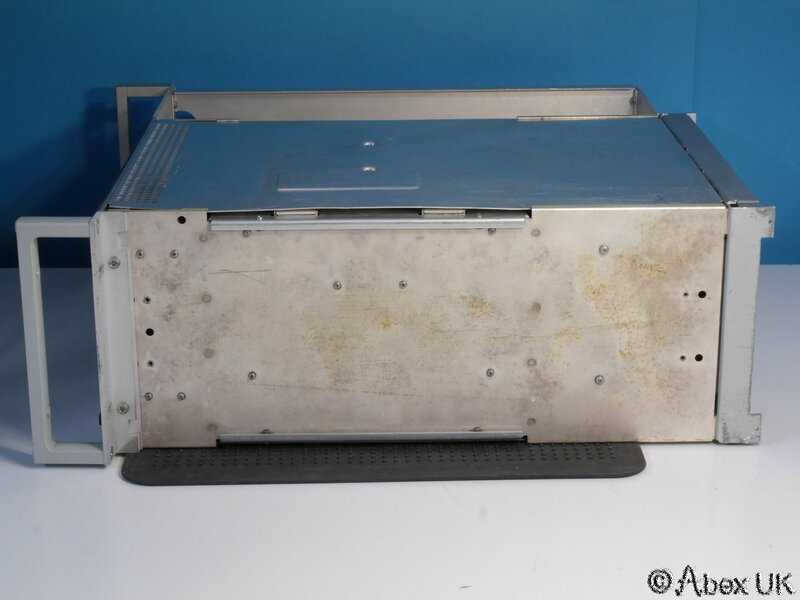 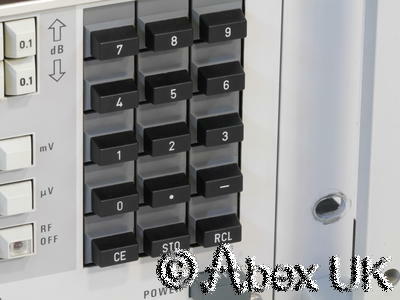 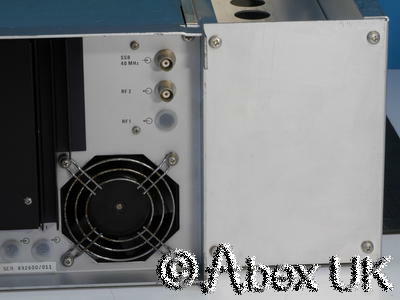 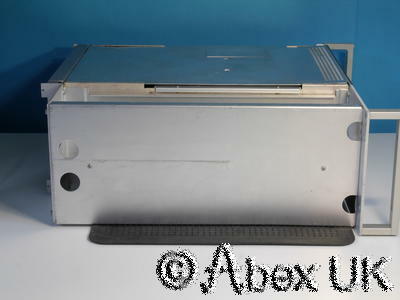 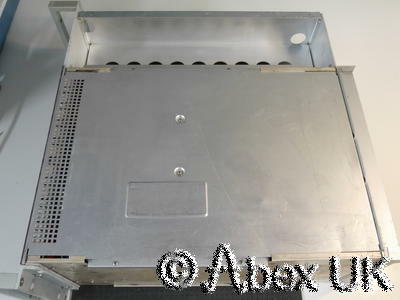 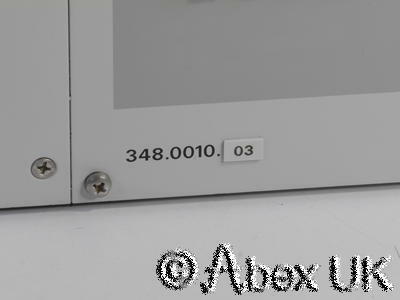 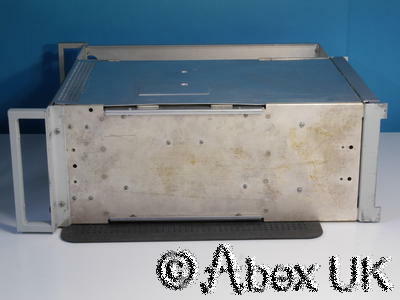 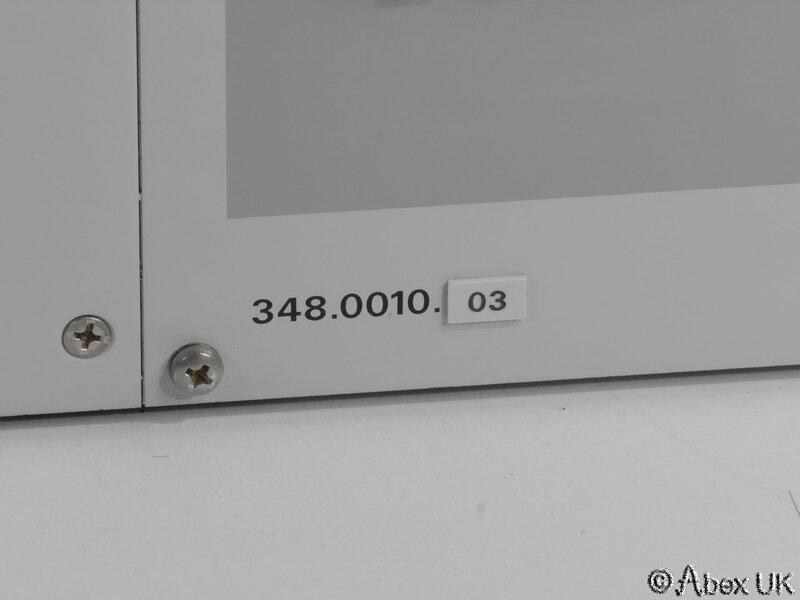 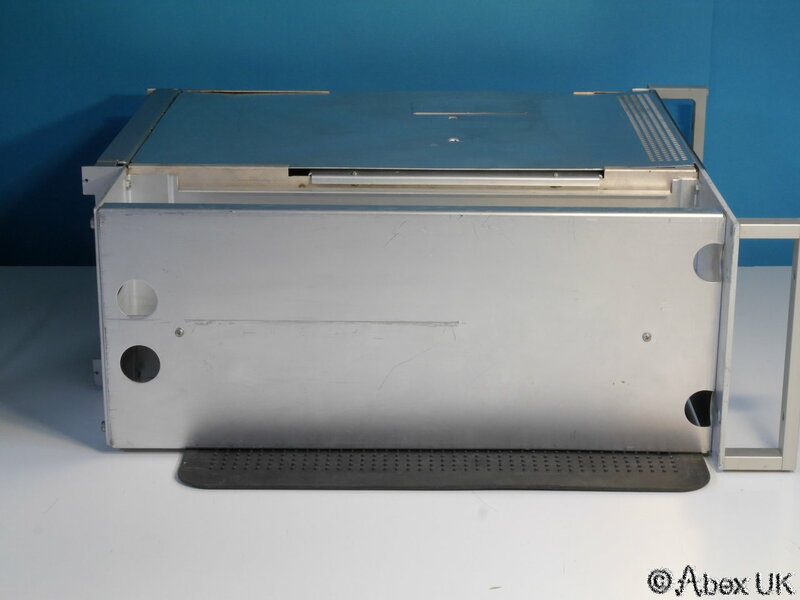 This unit has a rack mounting kit fitted, is in excellent cosmetic condition and in full working order. 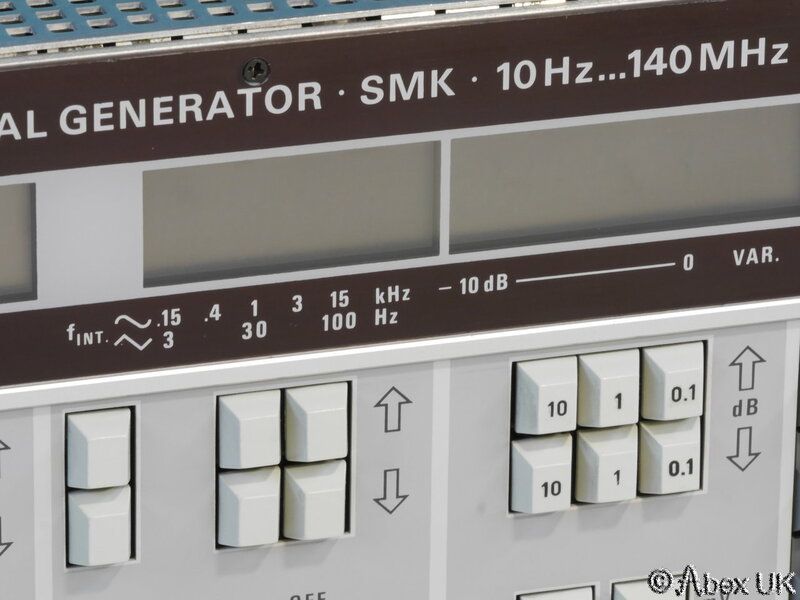 The only minor thing we can find fault with is that the power button sometimes sticks, but this only needs a bit of lubrication. 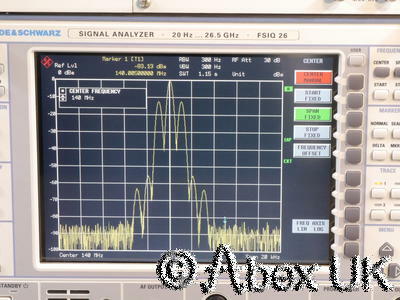 Otherwise everything works just fine as shown below.